lewisriverfisherman had the most liked content! Hey Issac are the nuke green polys still available? Wow it's going to be a great meeting full of awesome raffel prizes, thanks TPA! That clap is not good at all glad you got that out of there. I believe that a nitrate of 5-10 is fine besides you dont just want to drop them all the way to 0. One of The keys to SPS is being consistant with your parameters, of course this would be within reason of parameter guidelines. You know the ones alk 7.5-10 depending on your nitrate lvls, cal 425-450, mag 1350- 1400 I will be honest with you that you may not have enough micro fauna in your system to support them. Be patient it may be around the year mark that your tank matures enough to support SPS life. I would change to clamp to a plastic one they make black ones. How long has your tank been set up? Did you start it with all live rock? SPS like a ton of flow how flow do you jave? I as well will not be able to attend this meeting it's my wife's Birthday this weekend and we will be out of town. I am sad to miss another meeting and I will be missing the shindig at CNC as halibut season opens and the ocean is calling. The ones on the left are a purple and green acan, the middle one is a rainbow and the one on the right is a Alien blood pool lord from Rudy(these are red with a green mouth). None of these are getting proper light as they are sitting under a frag rack and my phosphates have been a little high lately. The green and purple ones have 4 heads, you can have for $15 . And if you are interested I will have to frag the others for you. Sorry I never got any picks taken yet I've been super busy I will try and get some taken tonight. I believe that you want lower alk with low no3, and higher alk with higher nitrates. The most important thing is to keep your parameters stable. Each and every tank is unique and what I mean by this is every tank has a different sweet spot where it will thrive. 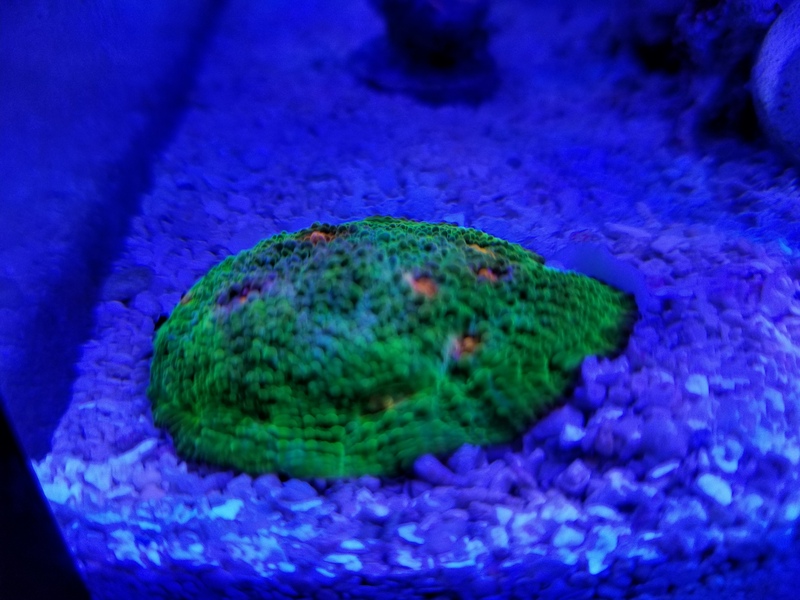 I have some acans that I can frag, I'll snap some pics today. Well to be honest your cleaner shrimp looks pretty bored so atleast this gives it something to do. Oh yes the great drop test lol. I got to do this with HP printers when I worked for them back in the 90's. Glad to see you going with more green alternatives for packaging solutions! I'm not going to make it, traffic is terrible and not going to fight it all the way thru Portland. Hope it's a great meeting I was looking forward to winning the mp 10! @MrBret I hope you save that frag of fender bender for me I will try to get over as soon as I can.